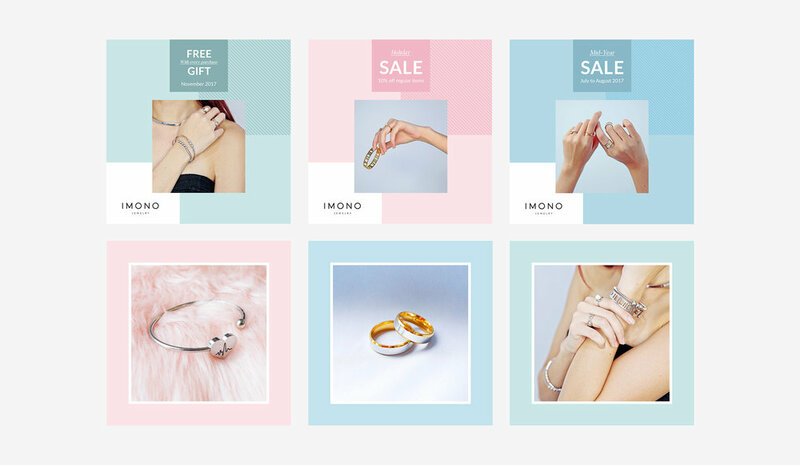 With 28 stores and having been in business for over a decade, Imono Jewelry felt that they needed to revamp their brand identity in order to adjust to the ever changing market. 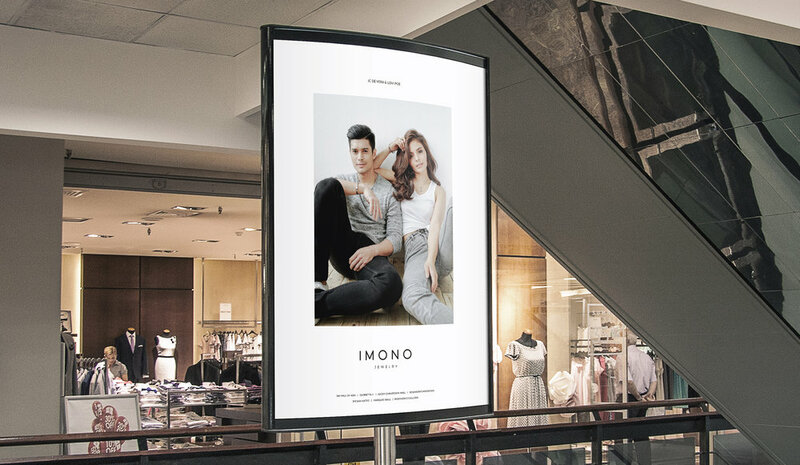 With an intentional approach towards targeting the young Millennial audience, the goal was to come up with a fresh, vibrant and luxurious look for Imono. 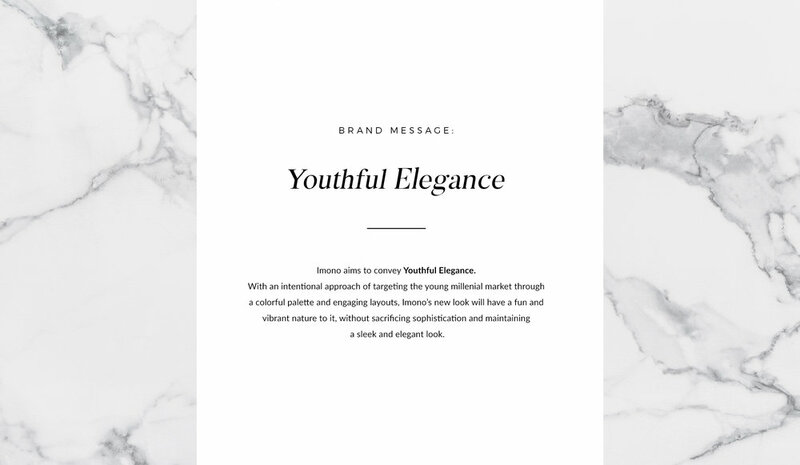 Anchored by the brand message "Youthful Elegance", we came up with a brand identity that is worthy of the high standard that Imono has been known for. During the initial meetings with the client, we found out that a large part of their clientele were couples. Because of this, we proposed a symbol consisting of two rings that are intertwined while also forming an abstract shape of a heart symbol, conveying the idea of "Unity". To convey the fresh and vibrant look that we were going for, we proposed the use of a color palette featuring three striking colors: mint, blue and pink with muted shades of these colors present in the complete array of colors provided. 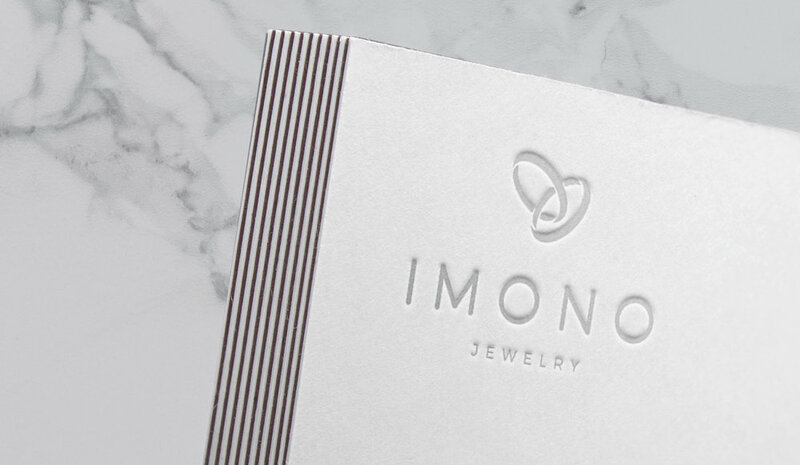 In order for Imono’s collaterals to still look elegant however, only one color may be used at a specific time. Being aware of how important social media is in order for the brand to connect with it's intended audience, we provided Imono with social media templates that are easily editable. This allows them to connect with their audience on a regular basis, and be sure that their online presence is consistent with their physical in-store branding. 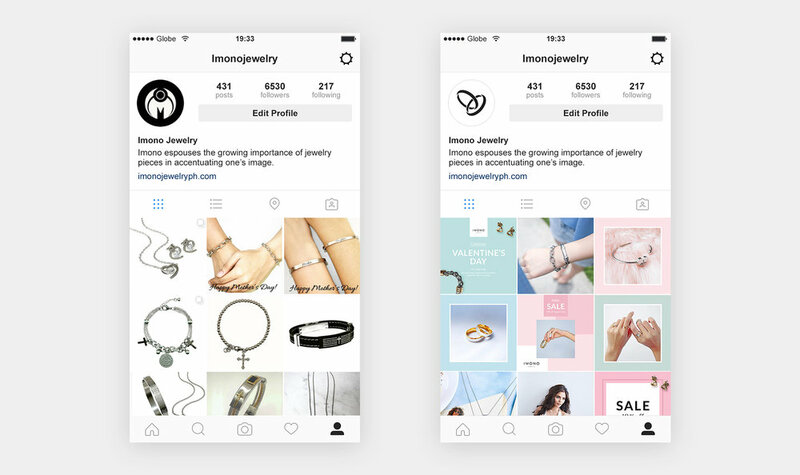 Above is a comparison of Imono's Instagram feed before and after we took on the rebranding project, a concrete example of how much of a difference good design and well thought-of strategy can do for your brand. 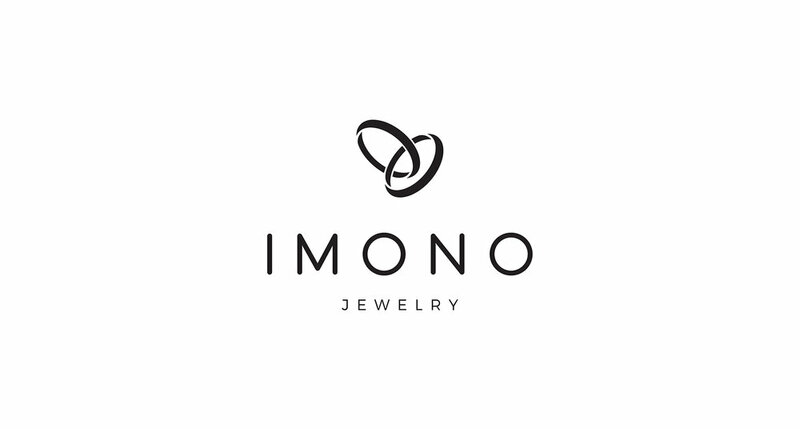 Imono Jewelry has branches located at Eastwood City Walk 2, Festival Mall Alabang, Gateway Mall, Fisher Mall, Lucky Chinatown Mall, Glorietta 4, Marquee Mall, Robinson's Galleria Ortigas, Robinson's Galleria Cebu, SM Center Angono, SM City Baliwag, SM City Bicutan, SM Dasmarinas, SM City Fairview, SM Center Las Pinas, SM Mall of Asia, SM City Manila, SM City North Edsa- Annex, SM City Pampanga- Annex 3, SM City Seaside Cebu, SM City San Mateo, SM City Sucat, Ali Mall, SM Molino, SM City Iloilo, Cash and Carry, etc.